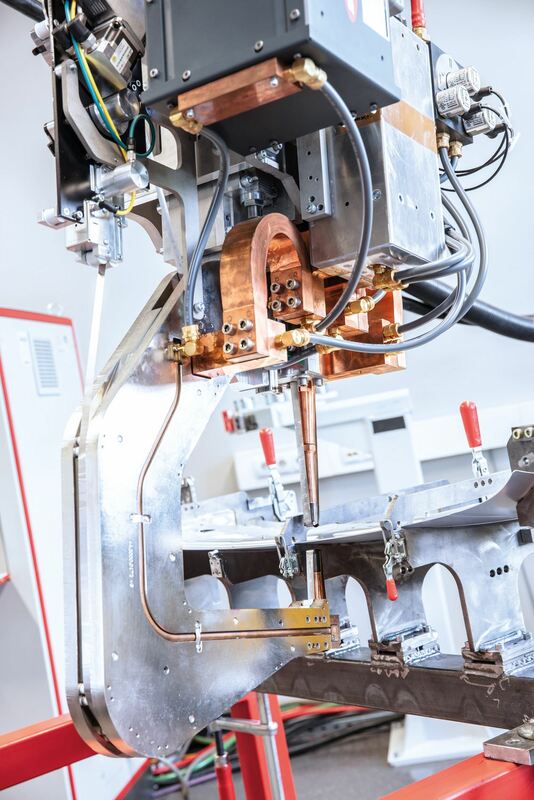 Whether in the automotive and supply industry or in air and space travel, anyone wanting to join aluminum sheets will be familiar with resistance spot welding. This special welding process impresses thanks to its energy efficiency, low component distortion, and high productivity, and requires no filler metal. Fronius has various appropriate solutions for implementing this process: From the new DeltaCon gun for conventional spot welding through to the innovative DeltaSpot system, which has revolutionized the welding process with its revolving process tape. 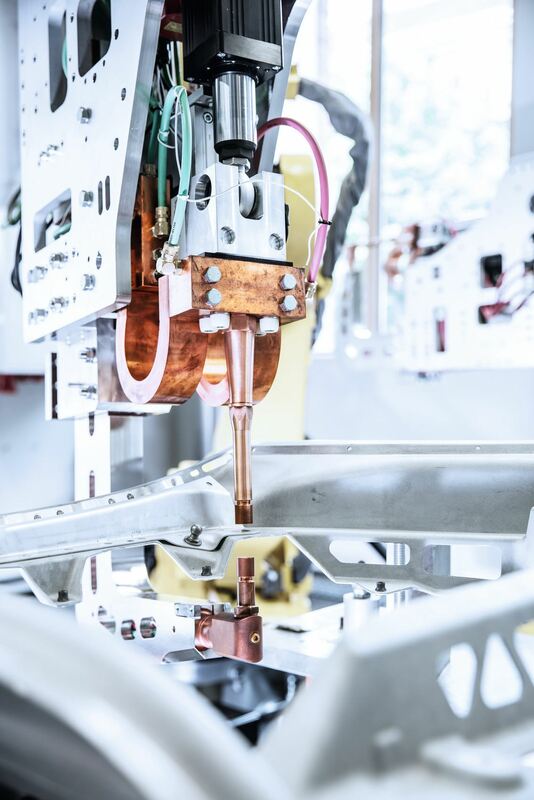 Since its market launch, the DeltaSpot system from Fronius Perfect Welding has successfully established itself in a wide range of applications. The resistance spot welding process is suitable for aluminum and steel, as well as other materials, and is primarily used for challenging sheet joints. The unique feature here is the revolving process tape, which is located between the electrodes and the sheets to be joined. The tape is in constant motion, which results in a continuous welding process with consistently high quality, as the system provides a new contact surface for every welding spot. The result: Precise and reproducible welding results. The process tape transfers the welding current and protects the electrodes’ contact surfaces against contamination. This significantly increases the service life of the electrodes: Up to 20,000 spots are possible depending on the application. This means that each welding spot is 100 percent reproducible, and users benefit from the high process reliability. No alloying of the surface coatings or base materials on the electrode is required. Since there is no direct contact between electrode and sheet, the welding spots are spatter-free and there is no need to re-mill the electrodes, saving time and effort. Surface deformation and electrode indentation are also minimal with the DeltaSpot welding process. Users can weld up to 7000 spots without interruption with one process tape. Due to the process tape’s high electrical resistance, additional heat is transferred from the exterior to the interior during the welding process. This means up to 50 percent less energy is required, particularly for aluminum applications, making the welding process extremely efficient. As well as aluminum joints, the DeltaSpot can also be used to join titanium, magnesium, stainless steel, coated steel plates and high-strength steels. Multiple sheet joints can also be tackled with ease. In order to process another combination of materials with the same spot welding gun, the user simply needs to replace the process tape. 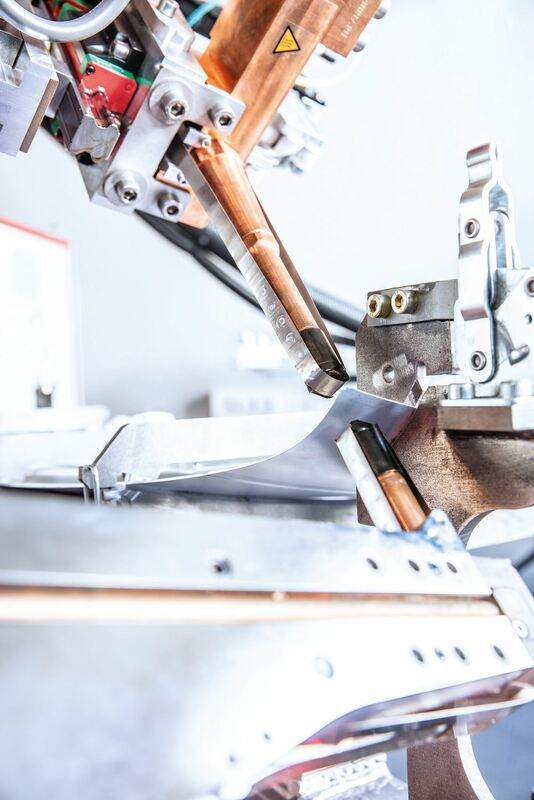 This makes DeltaSpot one of the most versatile resistance spot welding systems with significant process benefits in a wide range of applications. Fronius also offers another option for carrying out spot welding processes in a cost-effective, flexible, and straightforward manner: The new DeltaCon spot welding gun. The guns are available in the Basic, Basic plus and Loaded variants and are designed with or without welding gun adjustment depending on the model. This function helps when fine-tuning the gun before the actual welding process and prevents the sheets from deforming due to inaccuracies. The Basic and Basic plus versions are known as seventh-axis systems, where the welding gun adjustment is carried out by the welding robot. For the Loaded model, the Fronius welding control system performs this task. The DeltaCon guns are modular in structure and both the X and C geometries have the same main components. This enables users to carry out a wide range of welding tasks without having to cover expensive storage costs for different components. Their compact design also guarantees good accessibility: Parts protruding to the side have been completely eliminated, and all hoses and cables run through the gun body, meaning that they are well protected. The transformer is integrated into the base body, has its own cooling unit and is suitable for aluminum applications. 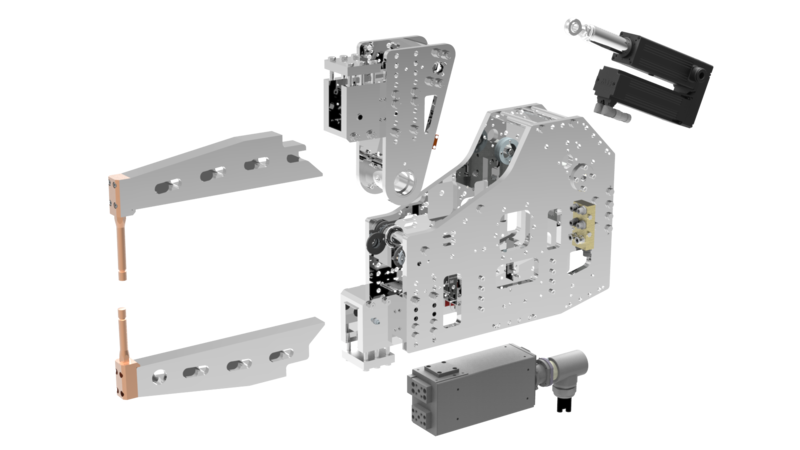 The individual assemblies are easy to install and remove during servicing and maintenance thanks to their intelligent design, which reduces downtimes to a minimum and enables high productivity. The DeltaCon guns have universal connections, so users can use them with various types of robot. The spot welding guns can be programmed intuitively via a graphic interface and users can use this to see an overview of how the key welding parameters correlate. In addition, all DeltaCon and DeltaSpot models can be connected to the WeldCube documentation and data analysis system. This enables consistent cross-device monitoring and welding process evaluation, and thereby helps to improve quality. 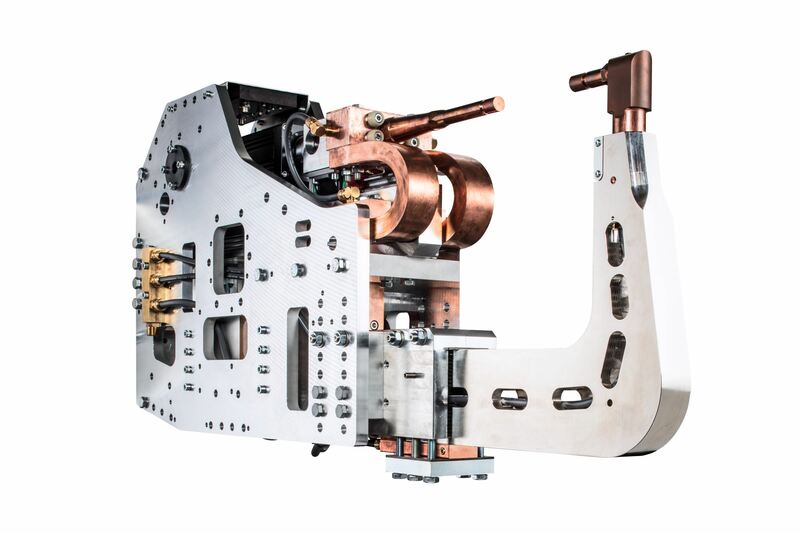 As a systems supplier, Fronius is a one-stop-shop for complete resistance spot welding solutions. This not only gives the customer the opportunity to select their preferred parts and components, but they also benefit from a wide range of services including installation, maintenance, training, and programming. This ensures reliable, productive and cost-efficient welding processes for all requirements.